As many of you are already aware, my husband Derick Pye suffers from a genetic kidney disorder, polycystic kidney disease. His health took a turn for the worse about three years ago and he has been on dialysis for about a year now. This is keeping him alive. Derick served in the US Army for almost thirteen years and is currently working with the Department of Transportation where he is fondly known as “Mr DMV”. Derick is on UNC’s kidney donor list waiting for a kidney. The cost of a transplant exceeds his insurance coverage by a significant amount. Despite having Medicare, many of his medical needs are not covered. Derick will need between $10,000 and $20,000 for uninsured costs for the transplant. He will also need thousands for his lifelong immunosuppressant medications. Also, the expense of traveling to and from the doctor and then relocation costs at the time of the transplant will be high. This presents a challenge that Derick cannot meet alone. To help offset his uninsured costs, a fundraising campaign in Derick’s honor has been established with HelpHOPELive (formerly NTAF), a nonprofit organization that has been assisting the transplant community for nearly 30 years. Contributions are tax deductible and will be held by HelpHOPELive in the South Atlantic Kidney Transplant Fund. Funds will be disbursed by HelpHOPELive for transplant-related expenses only. You can help make a difference in Derick’s life. Please consider making a contribution. Together we can make a difference by assisting Derick during this difficult time. Thank you in advance for your generosity and support. May jehovah be with you all during these critical times hard to deal with. Just wanted to give a shout out to my friends from Alaska . I am praying for Derick and your family. May Jehovah bless you all. 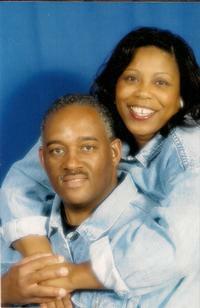 Derick & Joyce we are lifting you up in prayer. Praying hard that the Lord will reach down His might healing hands and touch you Derick. Keep the faith and know that God will take care of you & Joyce. Love you both bunches. Hang in there you guys GOD always has a backup plane! Love You!